Are you experiencing garage door problems? If so, you are going to want to make sure that you call on an experienced and professional garage door repair Superior CO company. You want to be sure that you call on a professional company to help because you want to get quality service completed on your garage. It is one of the most important doors in your home and it should be treated as such. While it might be difficult pinpointing the best garage door company in your area, we are here to let you know that we are easily the best in the Superior CO area. We have a tremendous amount of experience and we strive to provide our clients with the best possible garage door repair in the industry. 1. Garage Door Spring Repairs. Are you dealing with faulty springs? If so, you are going to want to get them replaced as soon as possible. If you fail to do so in a timely manner, your entire garage could fail to work properly. Unfortunately, you might end up with a faulty spring and be unable to enter your home very late a night. Fortunately for you, we offer a complete 24 hour service at a very affordable price. 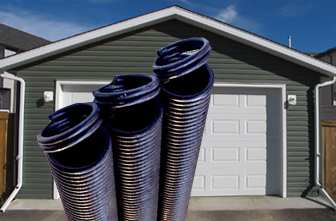 We have swapped out a lot of garage door springs and we pride ourselves on offering an impeccable track record of satisfied customers in such cases. 2. Opener Repair and Replacement. 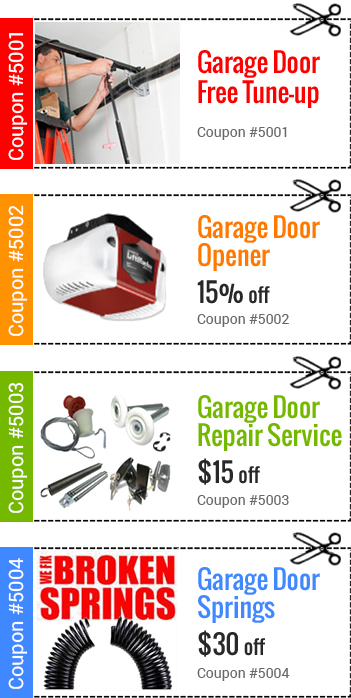 Dealing with faulty garage door openers can be a true pain. The fact is, a garage door opener is only going to last so long. With the amount of abuse that it takes on a daily basis, it is very likely one of the first things to fail in just about any garage. The good thing is that a lot of these products come with extended warranties. 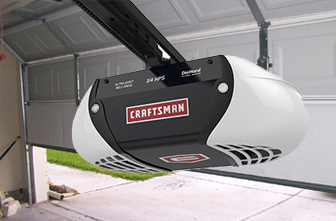 However, your garage door opener is likely to fail at some point after your warranty period. Therefore, you are left with two different options. The first is getting it repaired. The second is getting it replaced. Regardless on what you decide, we can help with the entire process. 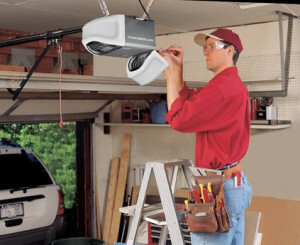 Not only do we have specialized technicians on hand to repair just about any kind of garage door opener, we also have specialists ready to assist you in both choosing a new garage door opener and installing the replacement. 3. Choosing A New Garage Door. Sometimes, you will neither want or need a garage door repair and you will simply want to opt for an entire replacement. While typically this would be a rather expensive and tedious endeavor, with us, you are guaranteed to have a much smoother and more enjoyable experience. We can guide you as to which garage door would work best in your specific scenario based on your home, design, and the climate around you. We will be able to really pinpoint your best options and allow you to make the final determination. You are going to want to consider various factors when making your decision and our goal is that you choose one that you are completely satisfied with. When you own a garage door, it is important to provide it with the kind of maintenance that it needs to thrive. This means taking care of it, looking after it, and really paying attention to it. As long as you pay attention to your garage, you should be able to notice if anything is wrong with it or if you need to call on someone like us – a garage door repair company. 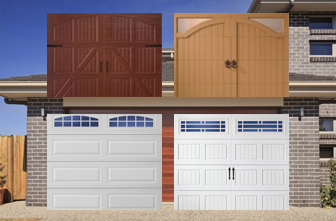 As you can see, we pride ourselves on offering excellent garage door repair Superior CO services. Be sure to give us a call if you ever find yourself in need of this kind of repair. Whenever there are troubles with a garage door, it is tempting to look the other way for as long as possible. Though, that’s not really going to help solve the problem. It could make it much worse. It may even cause more damage, which is more costly to fix in the long run. Seek garage door service Superior before doing anything else. It’s going to be narrowed down some just by the companies that serve your area. From there, you may look for anyone who specifically seems to understand the special needs of garage door service Superior. From there you may just find yourself with a handful of companies left. This makes it a lot easier to decide on just one company that will be able to offer up what you need. That will help you from having to waste a lot of time contacting and waiting on irrelevant companies. 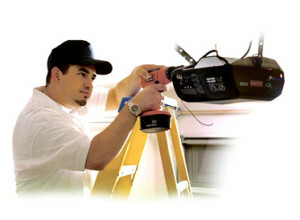 From there, take a look at the companies that are able and want to provide garage door repair services that you need. They may even have a solid reputation for integrity, customer service, as well as being great installers and repair professionals. Look at what other customers in the area had to say about their services, pricing, and efforts. If they are all glowing reviews, it may be a flag that there’s some “paying to play” going on there. in other words, some companies pay people to write glowing reviews. Though, there would eventually be someone who’s at least just having a bad day on there. It’s just statistics. Read the good and the bad reviews to get a better idea of what the company does that irks and helps customers. This will all go a long way toward helping you determine what company to hire after all. Copyright © 2016 Aditech Garage Door, All Rights Reserved.